Home Blog Does Colocation Services Make Sense for your Business? 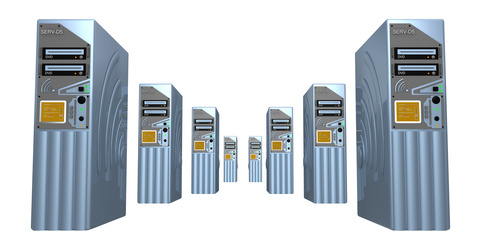 Leverage Colocation- Colocation is the practice of housing servers and other storage and network connectivity systems with a third-party data center. Instead of keeping servers in-house, many companies choose to co-locate their equipment by renting space in a colocation center. The practice eliminates the bulk of expenses associated with maintaining, updating, and monitoring the IT infrastructure. As companies move from individual servers to networked systems, they realise benefits of opting for colocation solutions over running an in-house set-up. Colocation not only offers a positive return on investment, but also keeps companies lean and agile in line with expanding business needs. Here are some of the key benefits of choosing services from reliable colocation hosting providers. When companies opt for colocation hosting, the IT department no longer has to delve into the nitty-gritties of managing bloated infrastructure logistics. Network support issues are dealt with by the colocation hosting provider, along with 24/7 network and security support to ensure optimal systems functionality. Rather than invest in backup generators, UPS, HVAC units, and paying ongoing expenses associated with the equipment, business owners can leverage a feasible data center environment easily scalable with changing business needs. Maintaining optimal uptime is crucial for any enterprise network, especially when it involves connectivity with remotely located workers, business partners, and clients. Most colocation hosting providers include premium fault-tolerant fiber solutions and dedicated networks across the world, ensuring reliable IT infrastructure. Companies maintaining an in-house server and data center are more likely to spend on acquiring unnecessary and expensive network connectivity to obtain the required bandwidth. Most of these companies end up paying for peak-level traffic most of the time to avoid the shortcomings during peak hours. Instead, colocation hosting providers offer scalable bandwidth services and shared bandwidth with whichever tenant needs it at a particular moment. Whether you are looking for colocation services in India or any other country, one thing you can be sure of is that the hosting providers like i2k2 Networks are well-placed to take care of all your IT infrastructure related requirements at a lower cost as opposed to an in-house arrangement. Colocation providers offer your business the flexibility to grow as colocation space, bandwidth, power, and connection speed can all be scaled according to business needs.